If only you were prettier…. 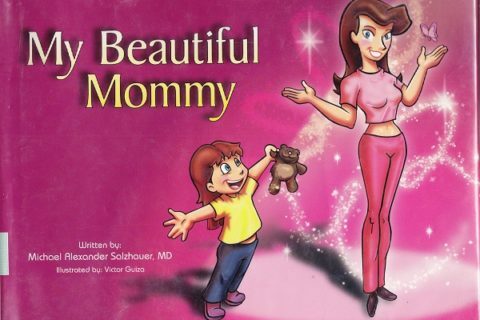 Back in 2009, we featured this book as a title for consideration. 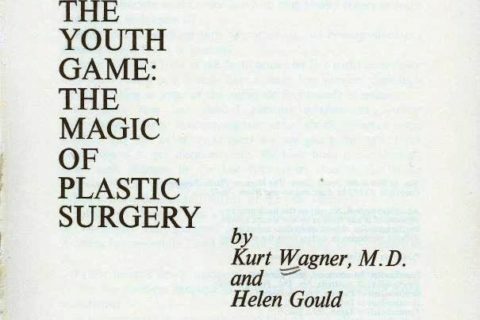 Fast forward a few years and I ran across this again looking for materials on plastic surgery. The sad part is when I was browsing the catalog, this wasn’t even the oldest title in our shared catalog. 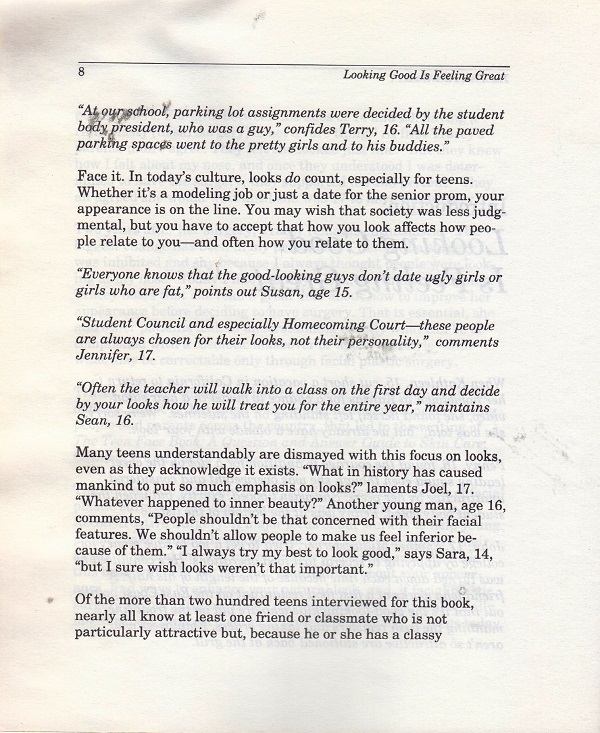 I have included some interior pictures this time and still find the tone of this book very disturbing given that the intended audience is teenagers. Not popular at school? 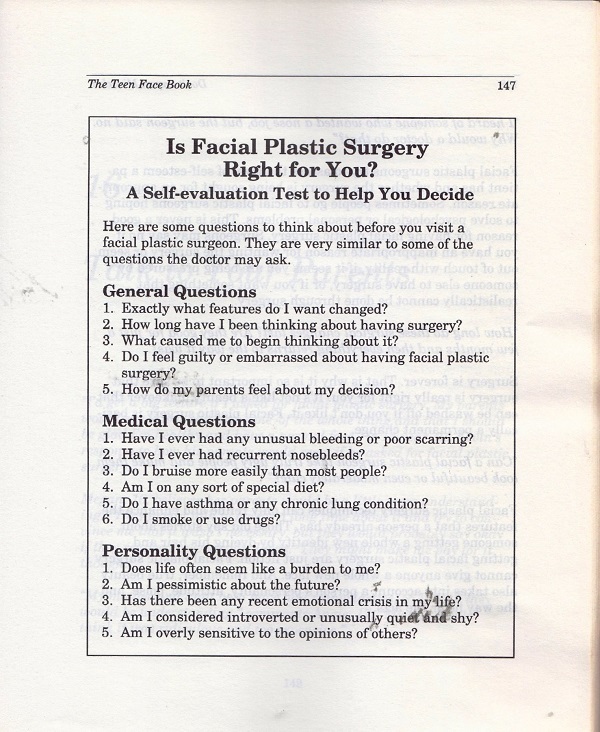 Plastic surgery can help! Didn’t make the cheerleading squad? 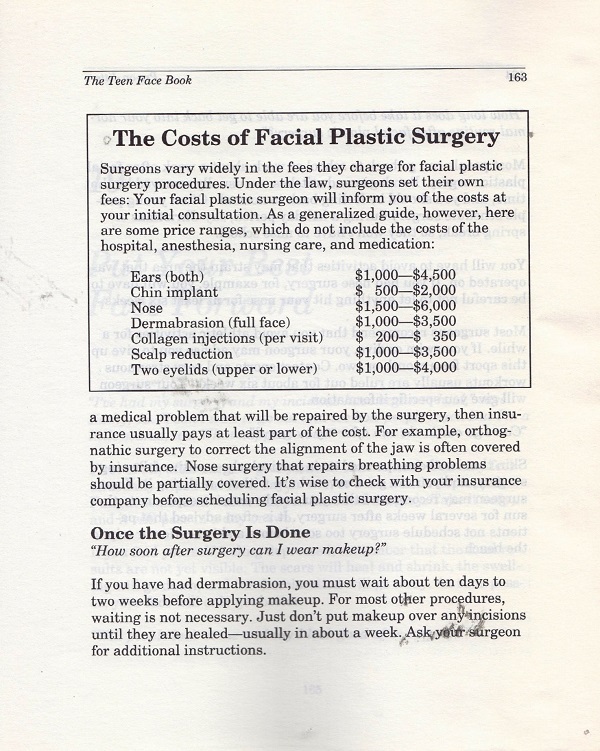 Plastic surgery offers some solutions! 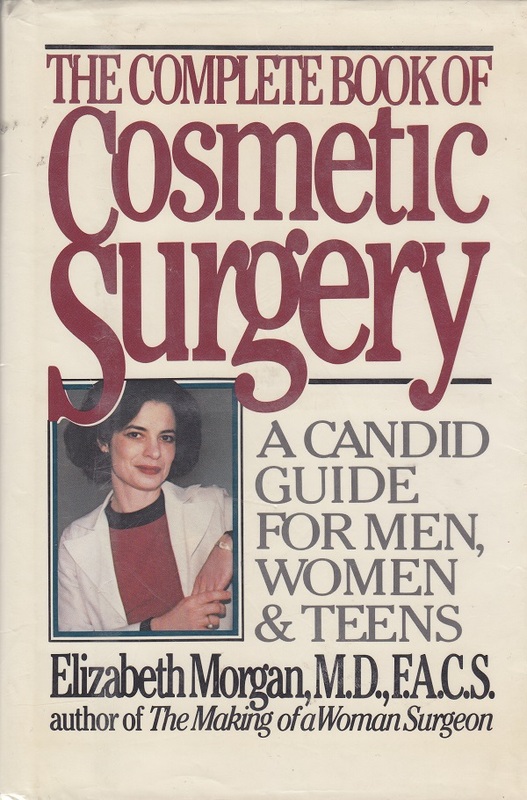 Even if this is an important information need for your community, a 20 plus year old book with medical information is not appropriate for anyone. Having a little work done? This is so disturbing, I really don’t know how to comment! I could understand wanting work done following a severe accident or some other serious disfigurement, but really—–for a paved parking spot?? I’m curious about the “group image” that Jason is read y to put before us… You all should never stop scanning in the middle of a sentence! 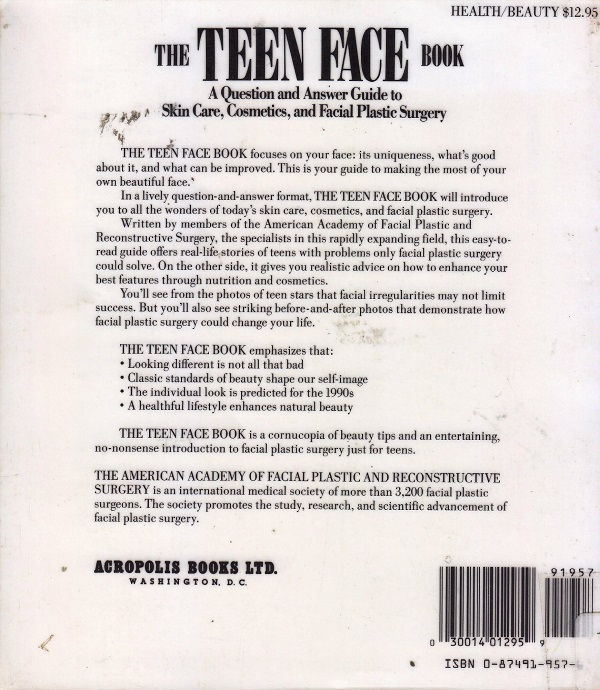 Somehow I doubt this “no-nonsense” book covers the medical issues, problems, and complications that can happen with plastic surgery. 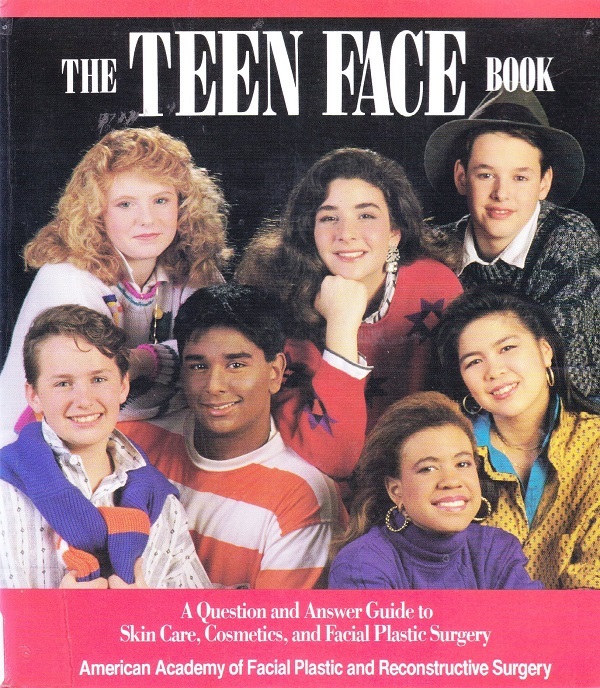 Would LOVE to see updated photos of the kids on the cover. ‘where are they now’ kinda thing…. or more like ‘how do they look now’.